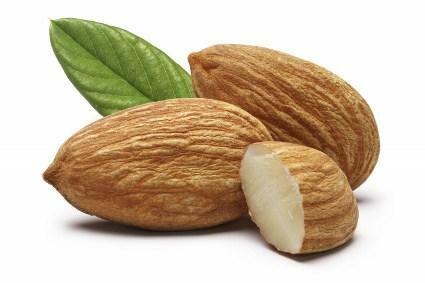 Nuts are a good source of Vitmin B6. Vitamin B6, also called pyridoxine, is an essential, water-soluble vitamin your body requires on a daily basis to function properly. This vitamin is involved in enzyme reactions, protein metabolism, and immune function in your body. What Are the Benefits of Taking B6? You can obtain the health benefits of vitamin B6 by consuming B6-rich foods or dietary supplements. However, if you consume this vitamin from dietary supplements, it's important to first talk with your doctor and consume only recommended, safe dosages. According to Medline Plus, most adults require 2.5 to 25 milligrams of vitamin B6 each day to help correct a deficiency, and women who take birth control pills should consume 25 to 30 milligrams daily to help correct a deficiency. Talk with your doctor before taking any B6 supplement to make sure it's safe for you. Some studies show that taking vitamin B6 supplements can relieve symptoms associated with premenstrual syndrome, or PMS. Medline Plus reports that dosages used to treat PMS symptoms range from 50 to 100 milligrams each day. A study published in a 2009 edition of the Canadian Journal of Clinical Pharmacology found that although calcium was most effective for relieving PMS symptoms, results showed that supplements may also effectively treat premenstrual syndrome. Vitamin B6 is used to treat seizures caused by a deficiency, especially in infants and children. According to a study published in a 2011 edition of Molecular Genetics and Metabolism, effective dosages used to treat seizures range from 15 to 30 milligrams per kilogram of body weight for infants and up to 500 milligrams per day for adults. Always consult with your doctor before taking B6 supplements or giving them to a child. Vitamin B6 is involved in the production of antibodies in your body, which helps you fight diseases. Consuming adequate amounts of this vitamin on a daily basis will help strengthen your immune system and keep you as healthy as possible. For maximum antibody production, consume at least the Institute of Medicine's minimum daily requirements for your age and gender group. According to Medline Plus, consuming adequate amounts of vitamin B6 can help control blood sugar levels in your body. This is especially beneficial if you have diabetes, pre-diabetes, or are at risk for developing diabetes. To help keep you blood sugar levels within a normal range, consume at least the Institute of Medicine's minimum daily requirements. Talk with your doctor before taking any form of dietary supplement, including some multivitamins. Consuming too much of this vitamin can cause adverse health effects such as poor coordination, numbness, or sensory impairments. Dietary supplements can also interact with certain medications. By eating a well-balanced and healthy diet, you will likely consume sufficient amounts of vitamin B6 on a daily basis.